Michael Allen has more than 20 years of experience in behavioral health, both as a clinician and as an administrator. In addition to being a Licensed Clinical Social Worker (LCSW) and holding his Colorado Certified Addiction Counselor Level III (CACIII) certification, Michael also earned an MBA from Colorado State University. He joins SummitStone Health Partners after serving as Vice President at AspenPointe in Colorado Springs, where he worked for more than a decade. 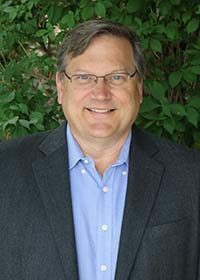 Gerry Brew comes to SummitStone after serving as the Chief Financial Officer and Chief Administration Officer for Journey Mental Health, Wellness and Recovery in Madison, Wisc. He has been recognized nationally for several awards and affiliations, including the National Leadership Award for Neurology/Brain Foundation, and CEO of the Year Finalist (In Business). 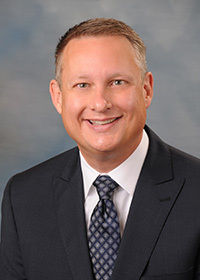 Gerry earned his bachelor’s degree from Chadron State College, his MBA from the University of Nebraska and an Executive EMA from the Stanford University AEA Executive Institute. He has also received the designations of Certified Management Accountant and Certified Healthcare Financial Professional. Cyndi has a great passion for behavioral health services. She is the Chief Clinical Officer at SummitStone Health Partners and previously served as the Executive Director for the Namaqua Center in Loveland. Her work has included more than two decades with behavioral health organizations in Northern Colorado. She began her career as a direct service provider at Island Grove Regional Treatment Center in Greeley and then at Larimer County Mental Health Center. She moved into senior leader roles at the Namaqua Center and SummitStone. Cyndi is a Licensed Marriage and Family Therapist in the State of Colorado. 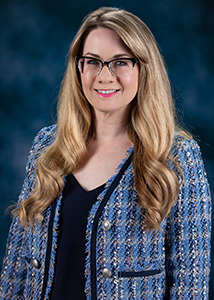 She holds a Bachelor of Arts degree from Alliant University in San Diego and a Master of Science in Human Development and Family Studies from Colorado State University. 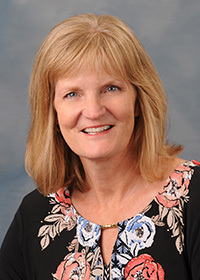 Cyndi serves on the Larimer County Interagency Oversight Group, Colorado Behavior Healthcare Council Health Care Operations Committee and Colorado State University School of Social Work Advisory Board. 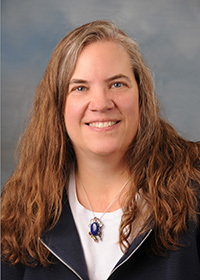 She has served on the CBHC Conference Committee, CBHC Clinical Outcomes Subcommittee, the Colorado Association of Children and Family Agencies Public Policy Committee, CAFCA Board of Directors, and the Larimer County Federation for Families Board of Directors. Dr. Fred Michel recently joined SummitStone Health Partners as Chief Medical Officer. Previously he served as CMO at Mental Health Partners, the Community Mental Health Center for Boulder and Broomfield Counties. Prior to that, he was a psychiatric provider and CMO at AspenPointe Health Services in Colorado Springs. 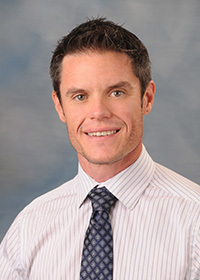 Dr. Michel received his medical degree at the University of Washington School of Medicine and completed dual residency training in Adult Psychiatry and Child and Adolescent Psychiatry at the University of Colorado Health Sciences Center in Denver. He maintains board certification in both specialties. Dr. Michel has been an active advocate for the uninsured and underserved clients of our communities through a lengthy career in community psychiatry at AspenPointe, Mental Health Partners, and now, Summit Stone. He is a founding board member for the Institute for Behavioral Healthcare Improvement (IBHI), which is focused on Quality of Care improvement strategies in behavioral health systems. He has also provided service on several other boards of directors, most recently UC Health – Memorial Hospital in Colorado Springs and First Steps Spirituality Center, a non-profit devoted to serving children who have experienced emotional and physical trauma. As CMO at SummitStone, Michel will oversee medical and nursing operations and provide clinical services for children, adolescents and adults. Jess Russelll, MA, LAC, CFI, is a Licensed Addictions Counselor and holds a certificate in the state of Colorado as a Child and Family Investigator. She has more than 20 years in management in the for-profit and not-for-profit sectors. She graduated with her Bachelor of Science in Business with an emphasis in Marketing from Upper Iowa University. After years of working in for-profit settings, she pursued her life-long goal of becoming a therapist and graduated with her Masters in Counseling from Regis University. Jess has had extensive involvement in managing substance use disorder programs including withdrawal management programs and residential programs for men, women and children. She previously served as a Director of Residential Services, having oversight of programs specializing in co-occurring disorders, while focusing on the statewide opioid epidemic and serving as a treatment team member on the State of Colorado’s Opioid Consortium. 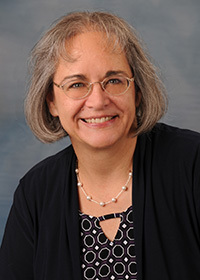 Diane Jesser attended Indiana University of Pennsylvania in Indiana, Penn. Her decades of experience in human resources includes a background in for-profit restaurants and manufacturing. 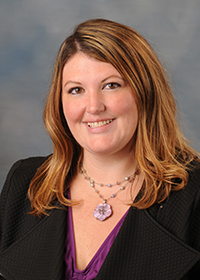 Ms. Jesser has been with SummitStone Health Partners for more than 10 years. She has been a member of the Society of Human Resource Management (SHRM) since 2000. Rob Martin brings a modern vision of Data and Technology to healthcare that focuses on improving lives through provider success and clinical outcomes. 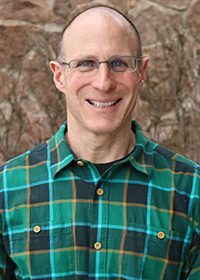 A leader in all disciplines of Health Information Technology and Data Exchange, Rob works to bring new methods to population health management, stratification, care continuity, quality and provider inter-operability. Holding degrees in CIS and Technology Management and serving on healthcare advisory boards, Rob’s career has been devoted to non-profit healthcare. He believes that technology and data have the very real power to improve lives and the healthcare paradigm. Kristin has been in healthcare operations for nearly 20 years. She joined SummitStone in 2013, switching her focus from physical health to behavioral health. At SummitStone she has quickly made a mark, starting as an Administrative Team Lead and moving into supervisory roles before being named Director of Administrative Operations. She now oversees the day-to-day operations of all administrative employees. Additionally, her focus on process improvement plays a key role in many of the organization’s larger strategic planning and continuous improvement efforts. 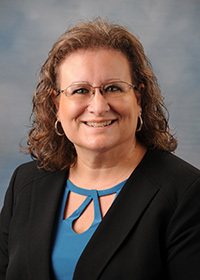 Valerie holds a Bachelor of Science degree from Texas A&M University and an MBA in Healthcare from Our Lady of the Lake University in San Antonio. She is a Certified Professional Coder and a Certified Professional Compliance Officer. 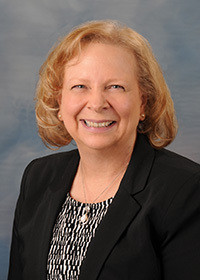 She has worked in healthcare compliance and revenue cycle for more than 20 years. She started her career in San Antonio as an office manager at a behavioral health clinical practice and a revenue cycle manager at a large medical school. While at the medical school, she was led to an interest in healthcare compliance, which ultimately led to a consulting career creating revenue cycle charge capture and compliance audit/monitoring mechanisms for small and mid-size healthcare organizations. Consulting work brought Valerie to the Denver area in 2000 and she has held leadership positions in compliance, quality, audit, billing, coding and revenue cycle since that time. Her experience encompasses acute health systems, provider practices and health plans/payers. 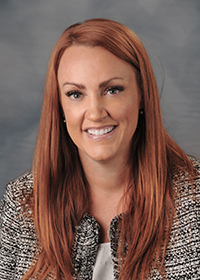 She joined SummitStone Health Partners in June 2018 as the Director of Compliance and Quality Improvement. Stephanie Madsen-Pixler, MSW, LCSW, CAC II, has worked for SummitStone since 1995, moving from case manager to therapist and supervisor of numerous programs across the spectrum of services SummitStone offers. She has been instrumental in the development of the Sister Mary Alice Murphy Center for Hope, a resource center for people who are homeless, as well as our peer services and ACT teams. Stephanie represents SummitStone with Outreach Fort Collins and the Zero Suicide model. Nathan Groathouse has nearly 18 years of brand marketing and business development experience within the translational medicine and biomedical industries. He joins SummitStone Health Partners after serving as the Executive Director of Brand Marketing and Business Development for a national engineering firm. Previously, Nathan was the Co-Director of a biopharmaceutical manufacturing organization at Colorado State University. 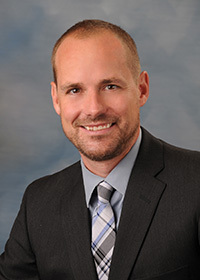 In addition to an MBA from CSU, Nathan holds a Master of Science degree with a concentration in Infectious Disease from the University of Wyoming. Deb has worked for Colorado Community Mental Health centers for more than 20 years. Her responsibilities have included management of accounting, billing, state reporting, data processing, reporting and implementation of accounting and electronic medical records systems. Deb has been a key member on state committees working with state agencies and other mental health centers across Colorado. Prior to working in behavioral health, Deb was a Certified Public Accountant for 10 years. Her experience in public accounting included audit, tax and assistance with accounting system implementations. She has a Bachelor of Science degree in Business Administration, with accounting and information systems concentrations. Tegan Camden has been a licensed clinical therapist since 2011. Tegan earned her bachelor’s degree in Psychology from Bradley University in 2007 and went on to obtain her master’s in Clinical Psychology from the Chicago School of Professional Psychology in 2009. Tegan’s experience includes 10 years with nonprofit community mental health in Illinois prior to moving to Colorado to join the SummitStone Health Partners team. She has extensive history in nonprofit management and building systemic community-based initiatives. She has provided leadership to numerous organizations, teams and committees aimed at improving mental health service delivery methods for children and families. Cali Thole is a licensed Marriage and Family Therapist as well as a Licensed Addictions Counselor with nearly 20 years of experience in behavioral health. As Director of Forensic Services, Cali oversees all of SummitStone’s jail-based services, working closely with Larimer County Community Corrections and the police departments in Fort Collins, Loveland and Estes Park. Cali’s experience focuses on developing and implementing progressive programs using best practices to reduce recidivism and provide alternatives to jail for those in the criminal justice system who also have a mental illness. 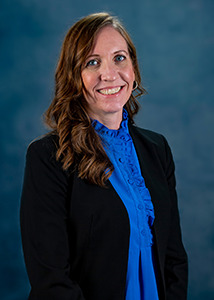 Cali earned her Master’s in Human Development and Family Studies from Colorado State University and her Bachelor’s degree in Psychology from Clarke College. Gregg Murphy has a diverse professional background in commercial and residential facilities planning, construction and management. He purposely creates facilities to serve people. In addition to project and contractor management, he served as Chief Operating Officer for his own entrepreneurial ventures in a hospitality development and management company, where he oversaw daily operations and led a team of more than 200 employees. 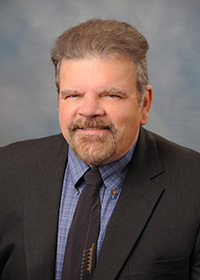 Gregg holds a bachelor’s degree in Business Administration and an MBA, both from Butler University. He comes to SummitStone after serving as Operations Supervisor for The Fort Collins Mission.